Everyone has fears, but when these fears become so overwhelming that they interfere with normal functioning they become known as phobias. A specific phobia is defined in the DSM-5 as an intense fear or anxiety in response to a specific object or situation. It can be helpful to look at a list of phobias to get a better appreciation for the enormous variety of objects and situations that can become a source of anxiety and fear. Phobias are quite common. The National Institute of Mental Health states that 9.1 percent of U.S. adults have at least one type of phobia. The American Psychiatric Association reports that phobias are the single most common psychiatric condition among women and the second most in men 25 and older in the United States. The latest update to diagnostic tool used most often by health professionals in the U.S., the DSM-5, says that the criteria for being diagnosed with a specific phobia involves having anxiety that is out of proportion with the actual threat posed by the fear object for a period of 6 months or longer. There is an incredibly variety in the source of people’s phobias. Because people can become afraid of almost anything, the list of phobias could be extremely long if you attempted to list every possible fear object. Rather than attempt to identify every single possible phobia, experts tend to focus on those that are the most common. Because phobias can relate to so many different things, the words identifying each phobia are often coined as cases come up. Names are usually formed by taking a Greek word related to the phobic object as the prefix and attaching the suffix -phobia to the end. Although in some cases Latin, English, or partial English-word prefixes are used. The DSM-5 suggests that phobic objects and situations tend to fall into one of three major categories: agoraphobia, social phobias, and specific phobias. When people search for a ‘list of phobias,’ it is the plethora of individual specific phobias that they are usually interested in. 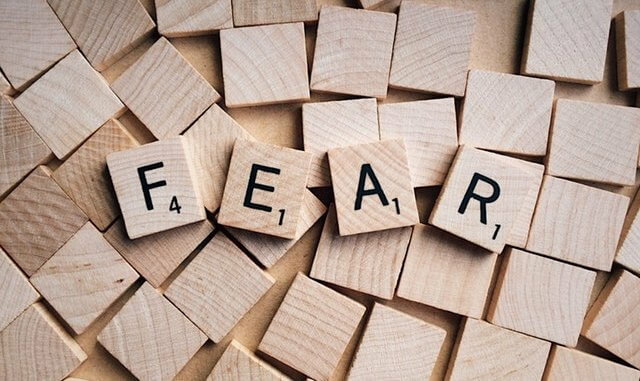 While creating an exhaustive list of each and every phobia simply is not possible, you can get a clearer picture of the types of fears by looking at a list of some of the more common ones that have been identified. Some other fairly common phobias include mysophobia (the fear of germs), trypanophobia (the fear of injections), and necrophobia (the fear of death). As you looked through the list of phobias above, you might find that you have experienced one of these common fears – or you can at least sympathize with people who do. However, not all fears are quite so common. Zemmiphobia: Fear of the great mole rat. October 25, 2017 Kendra Cherry Mental Health Comments Off on What’s Your State’s Biggest Phobia?